Interior design magazines appeal to a wide base of readers including trade professionals, do-it-yourself decorators, those interested in architecture or the homes of famous people. Most of these publications are readily accessible by subscription while some can be found on newsstands and in grocery stores or on your local library's periodical shelves. These prestigious publications are what you might find scattered across the coffee table in a high-end interior design firm's waiting room. 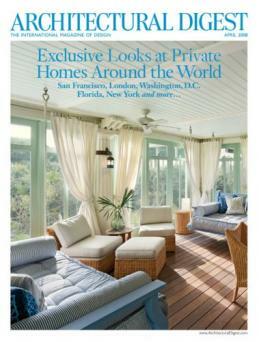 Architectural Digest is produced by the well-known international publishing giant, Condé Nast. This magazine captures the lifestyles of the ultra-wealthy through features on fabulous celebrity homes and their vacation homes, the work of notable international designers, cultural art and events and inspiring travel destinations. The magazine has covered Cher's home, David Bowie and Iman's Bali hideaway, Caitlyn Jenner's Malibu home, a trip to Tim McGraw's and Faith Hill's private island, and getaway cribs in the Hamptons owned by Billy Joel and Robert Downey Jr, just to name a few. Stunning photography and top-notch writing make this publication worth every cent of a regular subscription. One year of the printed monthly magazine costs about $25 plus you get a free tote bag, instant access to the Celebrity Homes special edition and access to the digital app (which is free anyway). Two years of the printed magazine costs about $45 and includes a free tote bag, the Celebrity Homes special edition plus the digital app. The AD Holiday Box costs about $40 and includes a one-year subscription to the magazine and digital app, the AD coaster set and 12 month calendar, a free tote bag, the Celebrity Homes special edition and a welcome note from the editor, all packaged in a fancy designer box. Architectural Digest also highlights innovative and award-winning architecture and offers shopping resources to help you re-create some of the cutting-edge style you'll find featured online. The digital app includes all the content of the print magazine plus additional photos, interactive floor plans and videos. You can find it at the Apple store, Google play, Amazon and Next Issue. This magazine is a good choice for interior designers and decorators who cater to clients with high-end homes and large budgets. Up-and-coming entrepreneurs or anyone who like to follow the design trends and lifestyles of A-list celebrities, avant garde decorating or innovative architecture will find it inspiring. However, if you're looking for thrifty decorating ideas, this is not the magazine to buy. Coastal Living focuses on the architectural home styles found along North America's Atlantic, Pacific, Gulf and Great Lakes coasts, including the shores of Alaska, Canada, Mexico, Hawaii and the Caribbean islands. The laid-back lifestyle and relaxed, comfortable look of beautiful vacation and beach homes may inspire plans to redecorate or to take a vacation in one to experience it for yourself. Those who live near the coast and want to show off their coastal style homes are encouraged to e-mail photos to the editors at coastalhomes@timeinc.com. Coastal Living features tons of information on seafood, how to get the safest, freshest and most sustainable types, how to prepare it and cook with it and make eye-catching appetizer or dinner presentations. You'll also find dozens of recipes for all types of coastal inspired home cooked meals and savory desserts. 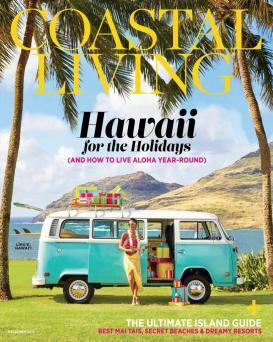 With each issue you can look forward to fabulous showcased beachfront homes, regionally influenced ideas for decorating and entertaining plus insider tips and valuable information about some of the world's top coastal destinations. However, if you're not looking for this particular decorating style, it might be best to skip over this subscription. 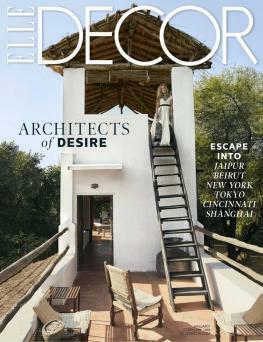 Elle Decor keeps readers up to date on all the latest, high fashion design trends with an international focus. The magazine features trendsetting urban interiors located in the world's most prestigious cosmopolitan destinations such as New York, Chicago and Boston. Home tours also take place in exotic locales such as the Basque country in France, Spain's Ibiza Island and Buenos Aries in Argentina. Over 2 million readers in five continents turn to Elle Decor for ideas, inspiration and tools to decorate, renovate and entertain in high style. 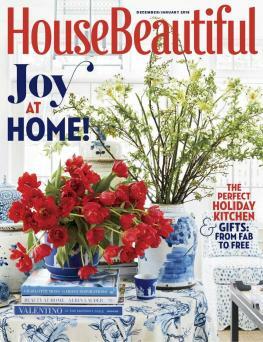 House Beautiful has stood the test of time, showcasing classic home interiors since 1896. According to the Washington Post, the magazine still has a print circulation of 816,000, over 7 million Facebook fans and over 1 million Instagram followers. Paving the way for all future shelter magazines, House Beautiful has been influencing the decor and design in American homes for over 120 years. 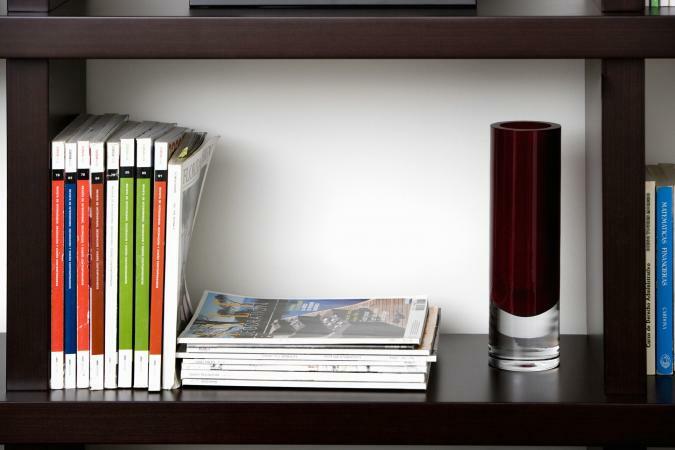 It's full of tips and tricks that can be used to upgrade and improve practically any type of home. Anyone who loves traditional decor and vintage ideas but would like to incorporate them into a contemporary setting will enjoy this magazine, which offers the same subscription options as Elle Decor. Both magazines are published by the Hearst Corporation, which publishes dozens of other well-known periodicals such as Good Housekeeping, Marie Claire, Country Living and Woman's Day. Pay close attention to the anniversary of your renewal date, as these magazines will automatically renew unless you cancel the subscription before that happens. Readers who live in homes with historical architecture or those interested in specific decorating styles can get more out of interior design magazines with a specific focus. 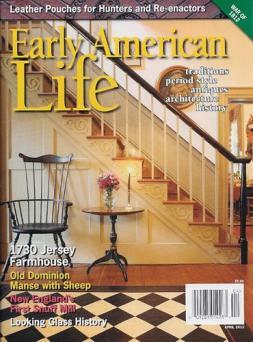 Early American Life focuses on the primitive decorating styles and culture during America's colonial years. The magazine features antiques from this era, as well as Period style reproductions made by craftsmen using traditional tools. Every issue also features an inside look at least two historical homes; both a private residence and a landmark museum with behind the scenes information about the history and exhibits of the location. The only downside of this publication, besides being published once every two months, is that you can't order a digital subscription. However, anyone living in a historic colonial home might enjoy learning more about their home's history and how it was styled in earlier centuries. 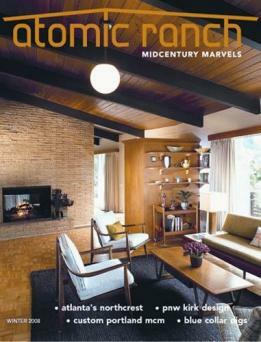 Atomic Ranch delves into the world of Midcentury Modern design. From 1940s Ranch style homes to 1960s era Modernist home styles, this quarterly magazine showcases the latest Midcentury home renovations from all over the U.S. It emphasizes affordable solutions for homeowners who want to incorporate this look both inside and outside their homes. You can also order individual seasonal issues for about $7-$8. If you like to entertain in mod style, Atomic Ranch has you covered with fun cocktail ideas, vintage servingware, and mod gift ideas for party hoppers who like to give a little love back to the hostess. 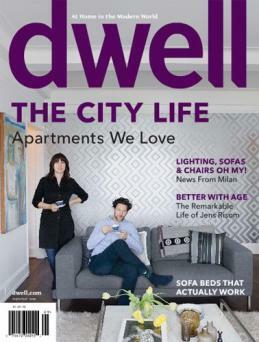 Dwell also has a large shopping resource guide filled with innovative products to help the modern home decorator create stylish and functional living spaces. The advice section on Dwell's website contains an interactive platform where readers can ask questions or post their own do-it-yourself projects and share design ideas. 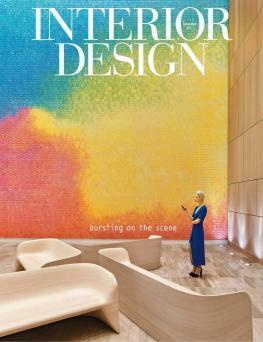 Magazines that cater strictly to professional interior designers contain much different content than magazines aimed at both consumers and professionals. However, talented and knowledgeable amateurs might want to take a look at them if this is their passion. One year of the monthly print magazine costs about $15 and includes 4 bonus special editions and free access to the digital version. Although you can only subscribe for one year at a time, the free digital access makes a nice inclusion. However, the digital magazine is only compatible with IOS operating systems; a big disadvantage for Android users. The digital version can be accessed on an android device using the free Kindle app but the subscription price through Amazon is about $50. The magazine also publishes annual reports of the top producing design firms, the largest corporate projects in the hospitality, healthcare and green building industries and other statistics that help indicate the direction interior design is taking in the future. One year of the print magazine (10 issues) for US customers costs about $94, Canadian residents, $99 and foreign residents., $184. Contract recognizes the leaders in commercial interior design through prestigious awards such as the Interior Awards, the nation's oldest and most notorious award for commercial interior design, which honors the Designer of the Year and the Design Legend. The Inspiration Award recognizes social responsibility in commercial design and the Healthcare Environment Award honors designs that enhance the quality of healthcare delivery. While all of these magazines have great websites with a lot of the same features and information, a recent survey of how people prefer to browse through their favorite magazines shows an overwhelming favoritism towards the glossy pages of traditional print magazines. Interior design magazines are packed full of handy information aimed at enhancing the way we live, decorate, work and entertain at home. The gorgeous photography makes the magazines themselves attractive and useful accessories for home or office.